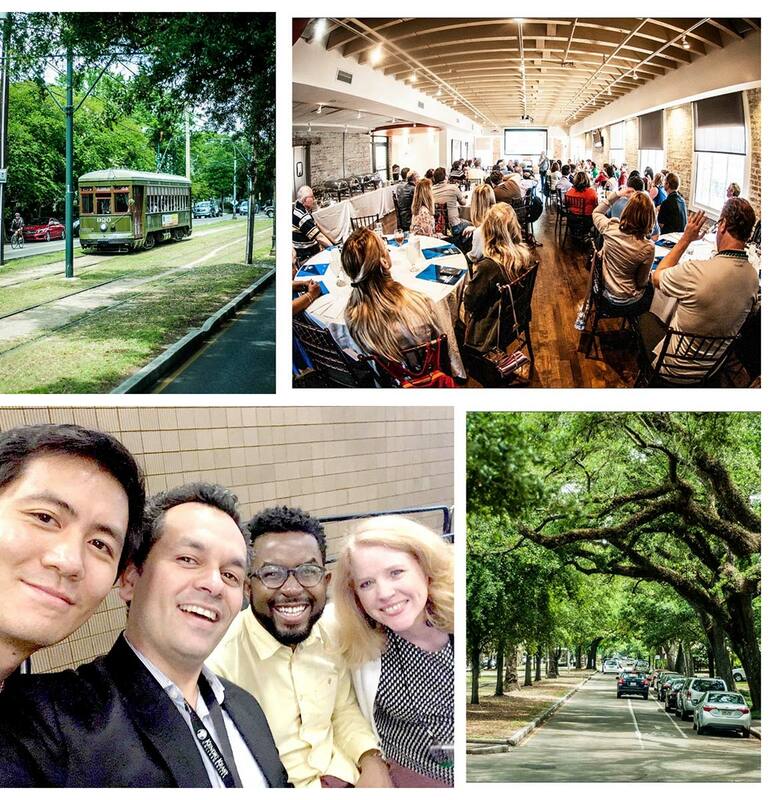 Montgomery Planning hit it big in the Big Easy. 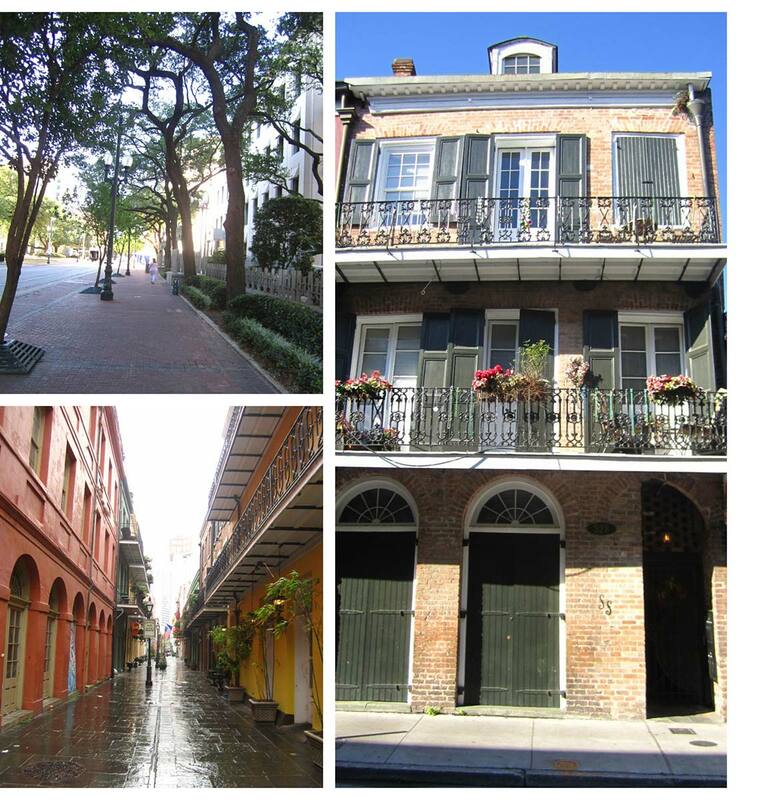 We were thrilled to present five sessions at the national American Planning Association (APA) conference, held from April 21 through April 23, 2018 in New Orleans. 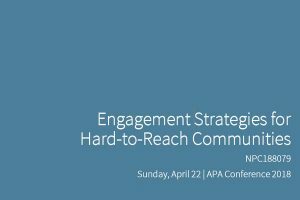 These presentations represent the most participation ever from our agency at this annual forum and we received great audience feedback about our ideas. Communities have long relied on brick-and-mortar stores to maintain economic vitality, but e-commerce and evolving consumer preferences are dramatically disrupting today’s retail industry. 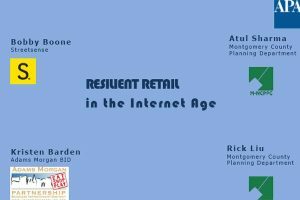 This session focused on how resilient retail can be planned, designed and built to meet the needs of today and anticipate those of tomorrow. Planners Atul Sharma and Rick Liu drew on our Retail Market Study to provide examples of the zoning and regulation changes needed to adapt to the retail revolution. Panelists Bobby Boone, a research strategist with Streetsense, and Kristen Barden of the Adams Morgan Partnership Business Improvement District discussed retail case studies from the Washington, DC area. View the presentation. 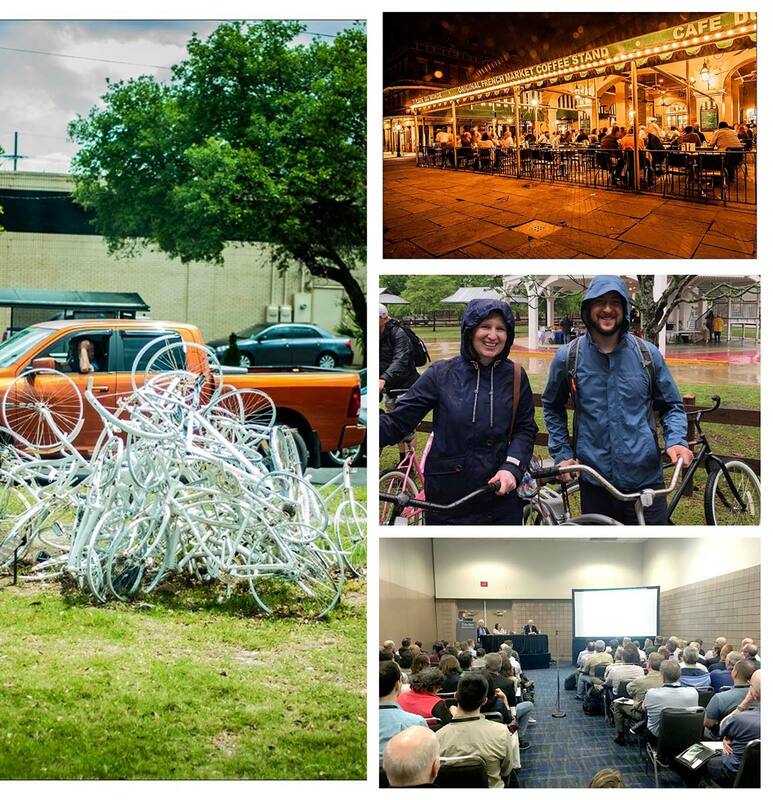 Data-driven planning, using indicators such as vehicle miles traveled, stormwater runoff and greenhouse-gas emissions, can generate creative solutions to reinventing the suburbs as vibrant, connected places. Panelists highlighted such strategies behind several successful suburban transformations, including the pioneering Kentlands community and the Park Potomac mixed-use development. I was honored to lead this discussion about the successful transformation of suburbs outside Washington, DC into walkable, mixed-use and transit-oriented communities through data-driven planning, My colleagues on the panel were Planning Board Chair Casey Anderson, Jennifer Russel of Germantown-based Rodgers Consulting and Bryant Foulger, chairman and managing principal of the Potomac real estate firm Foulger-Pratt. View the presentation. Montgomery Planning’s new recreation guidelines show how fitness and sports facilities in private residential development can be provided in an inclusionary, targeted way in response to changing demographics and urban growth. 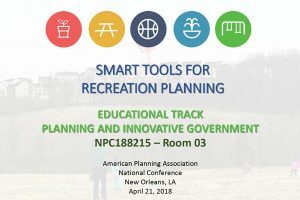 This session focused on a new digital tool for determining supply and demand of recreation facilities to show the range of options in meeting regulations and multi-generational needs. The presentations were made by the team responsible for the new guidelines and web tool, planner Marybeth O’Quinn, information technology expert Chris McGovern, researcher Pamela Zorich and consultant Grace Fielder. View the presentation. Communication manager Bridget Schwiesow and planner Jessica McVary from the Planning Department, and Planning Board member Natali Fani-Gonzalez explained ways of reaching people of color, millennials, non-English speakers and others who don’t typically get involved in the planning process. They drew on their experiences in using innovative outreach strategies, from interactive digital maps to pop-up events and happy hours. 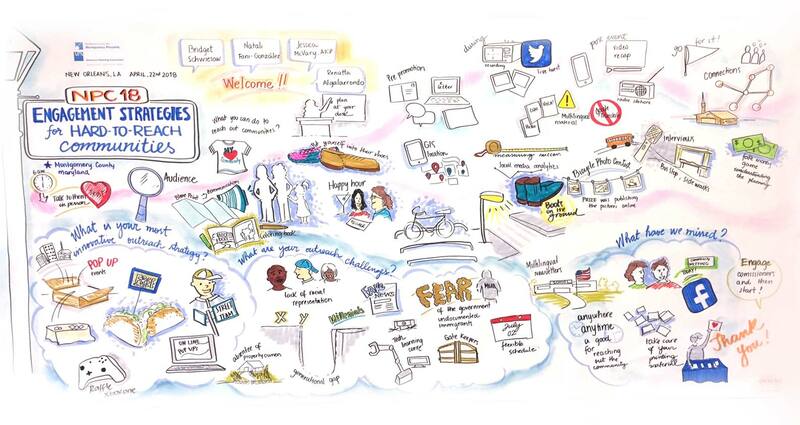 Graphic artist Renatta Algalarrondo of Crowley & Co. recorded the APA session in words and pictures as it happened to vividly demonstrate one of the effective ways of engaging the public at community meetings. View the presentation. Panelists discussed the historical value of public art and new opportunities for installing such accessible pieces to strengthen communities. 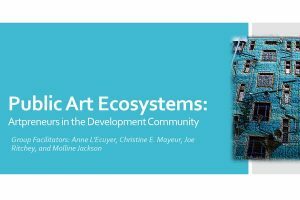 Discussion focused on the need for enterprising creative professionals, called “artrepreneurs,” and their critical role in real estate development as advocates for imaginative designs through public art. The panel comprised planner Molline Jackson of the Planning Department, Veronica Davis, co-founder and principal of Nspiregreen, a planning consultancy in DC, and her colleague Christine Mayeur; and Anne L’Ecuyer, executive director of Arts on the Block in Kensington. View the presentation. These varied sessions provided conference attendees with valuable information from the Montgomery County experience to use in their own jurisdictions. 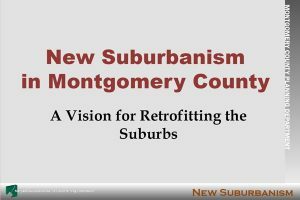 They reinforced our stature in the planning field as a thought leader, engaged in developing innovative programs, policies and research to change the suburbs for the better.